The reason why I choose this career is because I want to know why travel agent choose this job and what abilities or special skills do they need for this job? I was interested in this career before but when I found out about this career I don’t think it will fit me. The reason why I’m not interested in this career anymore is because a travel agent need to be good with people, have communication skills, detail-oriented, and have the knowledge of world geography. For me, I don’t think I have all those abilities because I don’t feel comfortable around people much and I hate talking for more than an hour. But I’m really glad I choose this as my career at this hour so I don’t have to waste my time being in university studying this subject that I used to think “this is my career”. 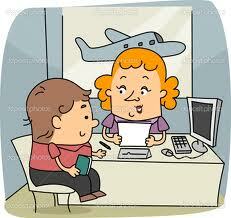 What concerns me most in this career is how does travel agent deal with people? I wonder how they deal with people that asked so many questions. If I was a travel agent dealing with those people, I would be so frustrating and feel annoyed in the same time. I don’t think I can deal with those kinds of people at all.